Naturopath Sarah Foley the founder of White Lotus Cleansing Retreats, is a pioneer of detox retreat programs in Byron Bay. With over 20 years experience in the wellness spa industry, Sarah has co-directed Byron Bay Detox Retreats and was the resident naturopath at the award-winning Gaia Retreat and Spa. She now runs her own specialised retreats and workshops in the Byron Bay Hinterland, and at Fivelements in Ubud, Bali. Her new incentives include exclusive @home online juice cleansing programs that are undertaken in the privacy and comfort of your own home, with daily online supervision and nourishing, compassionate guidance all the way. The essence of the @home programs is to accelerate your spiritual evolution and enhance healing on every level to achieve mental clarity, physical radiance and peaceful harmony within your spirit. These proven and successful programs will give you the tools and clarity you need to envision a healthy vibrant future and healing path. Recently I experienced the 5 Day @home online juice cleansing program and just look at the goodies that arrived on my kitchen bench! Oh, there was also a bag of coffee and a DIY enema kit. I wasn’t up for that hit as I was feeling very wiped out by day 4, and I don’t even drink coffee – well randomly – let alone have the desire to insert it elsewhere. Give me a colonic any day! You can do both on this super cleanse and I highly recommend you do. Be warned though, fasting is not for the faint-hearted in my clinical opinion, yet I sure did have a lot more energy and felt squeaky clean after the 5 days. The ultimate surprise was how beneficial I found the Hawaiian Pacifica Spirulina supplied – a natural appetite suppressant which actually works a treat. Internal Bliss – The art of detox and the beauty of fasting e-book. Our successful and popular five-day comprehensive n detox cleansing program, pre-cleanse program, and online health questionnaire to fill out before you begin. 30 minute initial naturopathic Skype consult and 30 minute follow-up at the end of your program. Enema Bucket with organic Byron Bay coffee and instructions for use. Specialised detox supplements to assist in clearing away 2-8 kg of toxic matter in the large intestine. Daily to do’s, checklists and sacred exercises to supercharge your healing. Radiant and vibing organic cold pressed juice, and potassium and magnesium electrolyte broth recipes. Two packets of organic cold pressed juice powder to renew & restore your body with immunity, a delicious revitalising blend of freeze-dried organic juice powders & Australian superfoods (one packet makes 10 juices). Chi gung exercise video to assist with mindful meditation for deep diaphragmatic breathing and to stimulate the detox pathways. Dream Drone CD for your sound healing vibrations. Alkaline water beads to alkalise and mineralise your drinking water. Videos on Fasting and Detoxification. Membership to our exclusive Facebook White Lotus Cleansing Detox forum. One of the most interesting inclusions on the program is the intake of aluminium free bicarb soda on rising. Sarah tells me that the bicarb acts as a buffer to alkalise the systemic pH so that the liver can offload its toxins effectively in the detoxification process. When the system is acidic the liver holds on to toxins within the body. Allergies generally start with the body’s inability to produce a certain enzyme, or to produce enough enzymes for the digestive process to work effectively. In conjunction with this is an inability to produce enough bicarbonate essential for the pancreatic enzymes to function properly. When this happens undigested proteins penetrate the bloodstream inducing more allergic reactions. Inflammation in such a scenario is systemic but can focus on the pancreas forcing decreases in the production of bicarbonate, insulin and necessary enzymes. 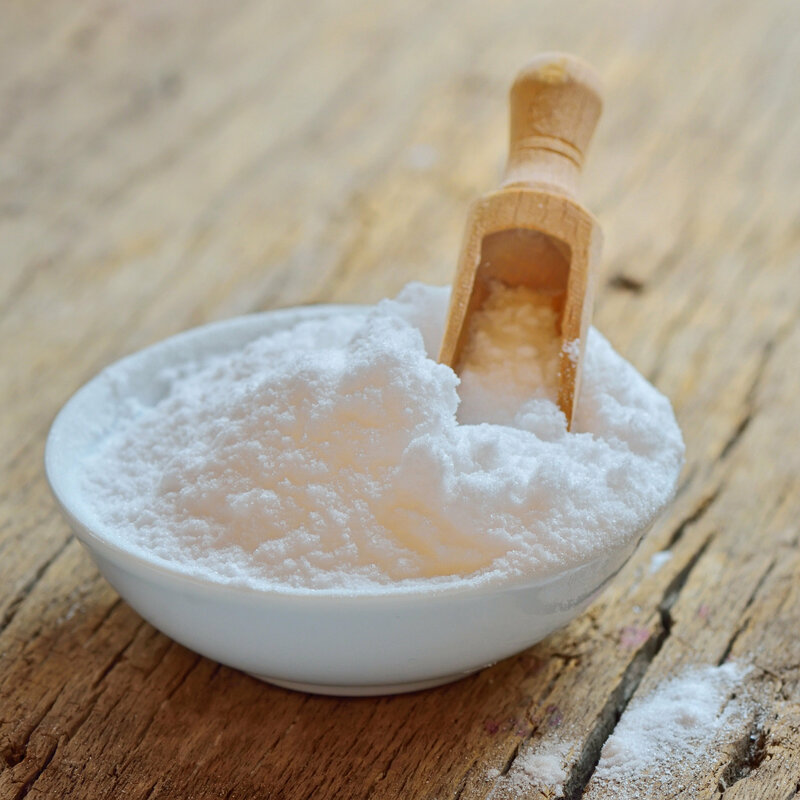 The bicarbonate ion acts as a buffer to maintain the normal levels of acidity (pH) in blood and other fluids in the body. Bicarbonate levels are measured to monitor the acidity of the blood and body fluids. The acidity is affected by foods or medications that we ingest and the function of the kidneys and lungs. Sarah is also an internationally certified colonic hydrotherapist and has a Bachelor of Naturopathy specialising in Kahuna bodywork, nutritional medicine, phytotherapy, homoeopathy, iridology and live blood analysis (LBA). As one of Australia’s leading naturopathic wellness and detox specialists, she has developed a unique approach in her practise, embracing ancient Hawaiian healing arts, centuries old Tao practises, and a wide variety of healing philosophies from all over the world. Sarah believes in the power of the butterfly effect, that small changes made consistently over a period of time can produce dramatic results, that not only affect our lives, but also lead to transforming the world.